Orthodox candidate for mayor burns copy of Christian Bible left in Synagogue by missionary group. 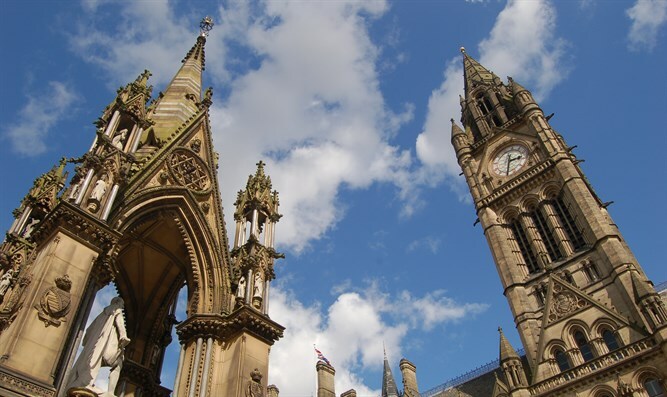 An Orthodox Jewish candidate for mayor of Manchester apologized after burning what he called a “missionary bible” and posting images of it on social media. Shneur Odze, who is a candidate for the right-wing populist UK Independence Party, or UKIP, on the eve of Passover found the Hebrew-language New Testament produced by a proselytizing Christian group in his synagogue. He took it out into the street and set it alight, according to reports. He then posted photos of the book burning and wrote on Twitter: “Grateful to whoever put a missionary bible amongst our synagogue’s books. Was wondering what I’d burn my Chametz with.” The post has since been removed from his Twitter feed though it appears on other places on Twitter. Odze is running against popular former British Health Secretary Andy Burnham for Manchester mayor. “While we understand the act, it was ill-advised to put a picture of it on social media which was also provocative and likely to be misunderstood,” A UKIP spokesman told The Daily Mail, which reported the incident. Odze told the newspaper that he felt he had no choice but to burn the book because he did not want to pass on what he believes is false religion to someone else and said that throwing a religious text in the garbage was distasteful, especially because it also contains the Five Books of Moses. Odze, a member of Chabad-Lubavitch, is a former city councilman for north London for the Conservative Party. Odze raised hackles in 2014 as a candidate for the European Parliament from the UKIP party, after refusing to shake women’s hands while campaigning.